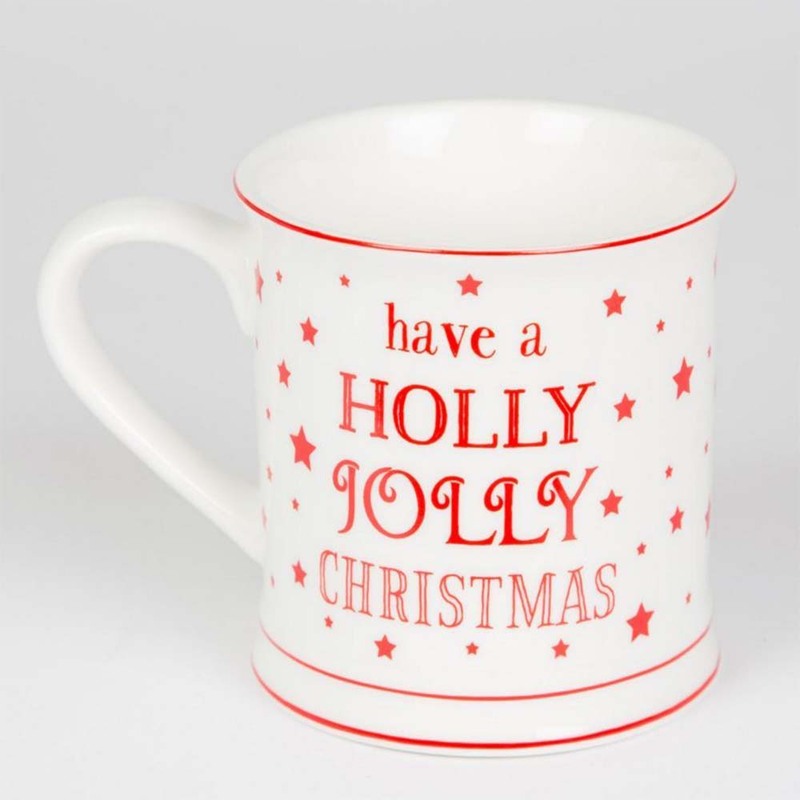 This 'have a holly jolly Christmas' mug is perfect for the festive period. This cute and kind festive mug is perfect for the festive period. This 'have a holly jolly christmas' ceramic mug is full of beautiful white and red writing "wishing you a merry Christmas". This mug also features wonderful little red stars and contains a great design.